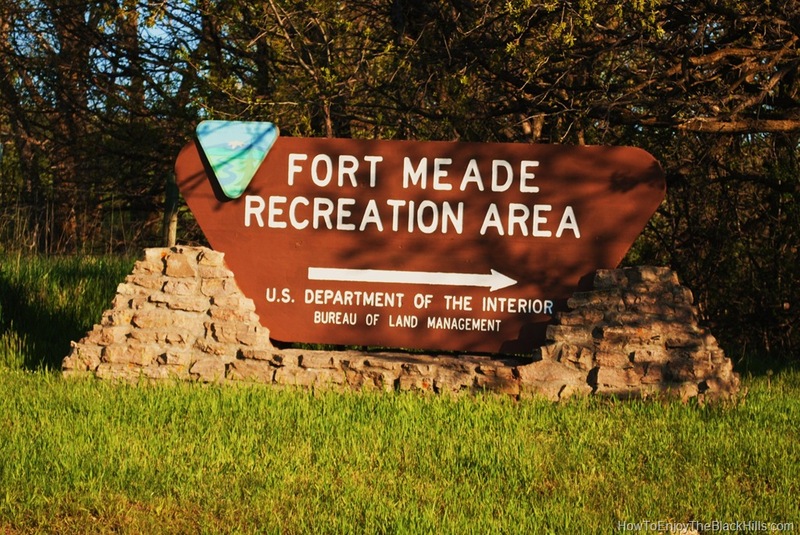 Fort Meade Recreation Area provides almost 7,000 acres of land for the public’s enjoyment. 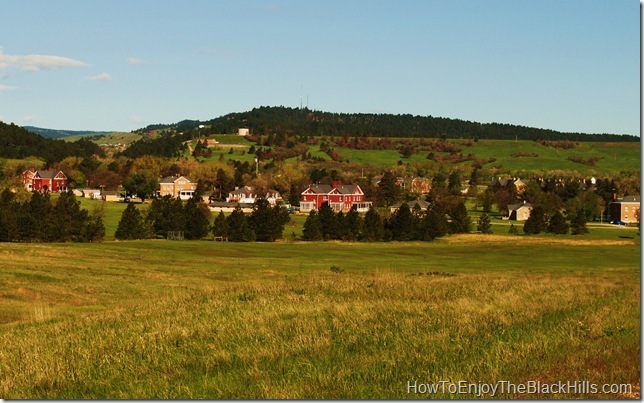 It extends from Interstate 90 (starting by the Black Hills National Cemetery) North to Bear Butte State Park. The area is divided into a north and south unit by Highway 34. 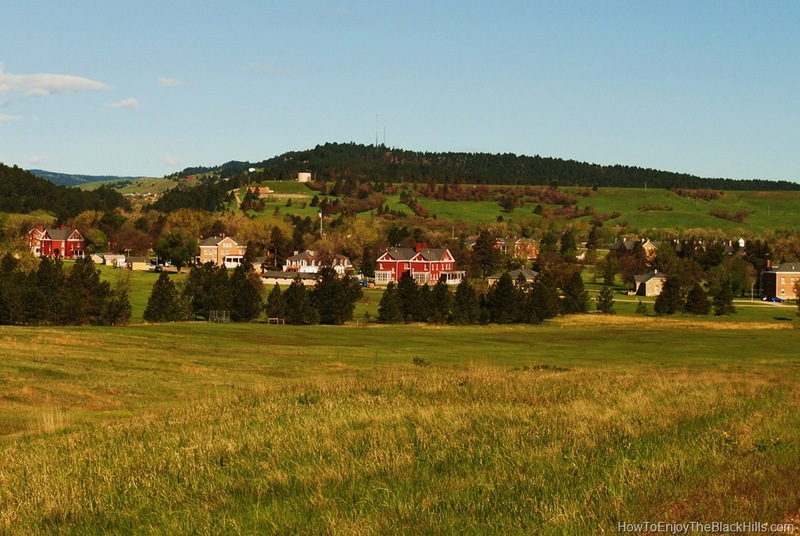 This land was a former Military Reservation established in 1878 by the Seventh Cavalry. The 5-mile gravel road from Exit 34 to the VA hospital is designated as a National Back Country Byway. While driving this road you will see: Veterans of Foreign Wars Memorial Chapel, Alkali Creek Trailhead and Recreation Site, Curley Grime’s Grave, the signs of the old stagecoach trail, Cavalry Jumps, Fort Meade Post Cemetery and end at the entrance to Fort Meade. Many historical buildings are still standing today and there is an Old Fort Meade Cavalry Museum to visit. 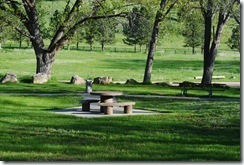 Camping is allowed at both the Alkali Creek Trailhead and Alkali Creek Horse camp (they are right next to each other). The fee is reasonable and charged per night, electric and sewer hookups are not available. The camp is open year-round, you only have to pay fees May 15th to September 30th. Note: the campground is closed for 3 weeks each August during Sturgis Bike Week. 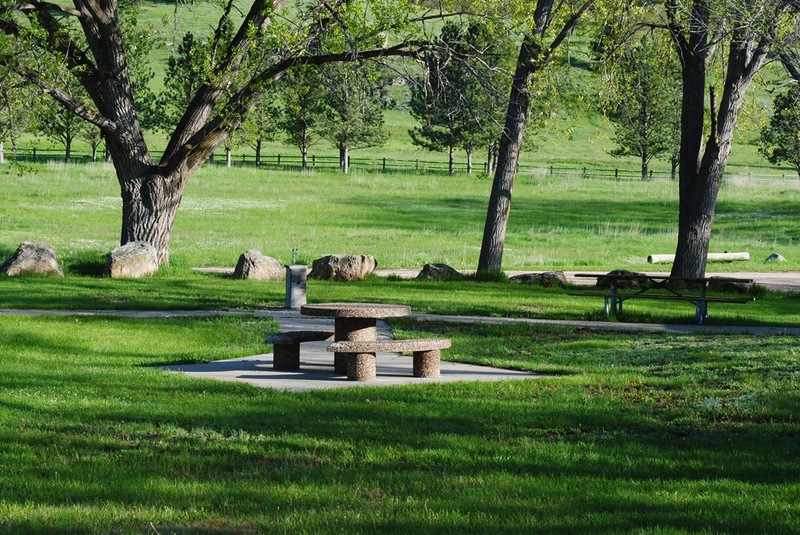 22 picnic areas are also available at the Alkali Creek Trailhead. Plus, restrooms and drinking water. There is also a great self guided nature trail. The trail is just over 1/2 mile and takes you across prairie and through timber. You get some great views of Bear Butte and opportunities to view wildlife. Trail guides are available at the trailhead. Alkali Creek Trailhead for the Centennial Trail, is located just of I-90 in the picnic and camping area. From here it is 12 miles north to Bear Butte or from the Fort Meade Trailhead it is about 8 miles. This is a great spot to jump on the 111-mile trail that ends in Wind Cave National Park. These trails connect with the Centennial Trail and add over 10 miles of trails to the Ft. Mead Recreation Area. The Fort Mead Trailhead connects with Trail #3. The Lions Park Trailhead connects to Trail #2. There is also access at the Alkali Creek Trailhead, as well as on Old Stone Road in Sturgis. The 7th Cavalry Trails are defiantly worth checking out, there is a really useful printable map here. In the North unit you’ll find the Reservoir. This is a small body of water and is stocked with rainbow trout. You’ll find two picnic tables and one restroom. 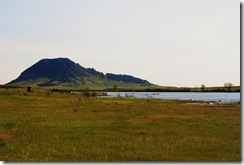 This area is somewhat secluded and has great prairie grasses and a view of Bear Butte. The reservoir is located just south of Bear Butte Lake. The easiest way to access the area is via the road that runs north of Bear Butte Lake and Camping area, then turn south on Bear Butte Road. After about 1 mile you’ll see the sign. 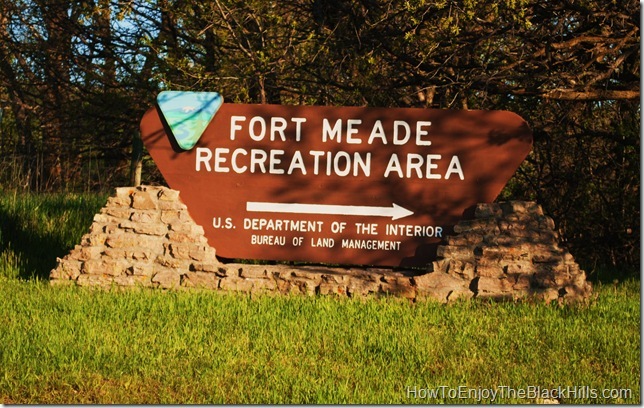 Fort Meade Recreation Area is easy to find and offers recreation options for most people. The area is split into four grazing areas, one of the grazing sections is allow to rest each year. Cattle are rotated through the other three during the summer. You may encounter cattle while using the area. Watch your step. Recreation that is allowed includes: archery hunting, fishing, horseback riding, camping, bird watching, hiking, biking, picnicking, non-motorized winter sports and more. Visit the BLM Fort Meade Recreation Area website for more information.